The world is changing. The transition from the mechanistic worldview to one that recognizes the interconnectedness of all life is upon us. It is the dawning of the Akashic Age. The Akashic field that connects the universe is now recognized by cutting-edge science. What we know about communication, energy, and consciousness is rapidly evolving in tandem with the new quantum worldview. Many adults are consciously evolving to meet the transitional challenges at hand, while today’s youth have arrived already hard-wired with the new consciousness. Rising from the ashes of the old systems, this Phoenix generation of radical change agents is seeding our evolution and spiritual transformation, a process that will continue over the next few decades. Authors Ervin Laszlo and Kingsley Dennis look at the chief engine of the coming changes--the growing global understanding of nonlocality--and the development of practical applications for it. They examine how the new values and new consciousness taking hold will reorganize society from top-down hierarchies into grassroots networks like those revealed through quantum physics’ understanding of energy and information waves and experienced daily by millions through social media. With contributions from visionary thinkers such as futurist John L. Petersen, ex-CEO of Sanyo Tomoya Nonaka, media activist Duane Elgin, systems scientist Alexander Laszlo, and spiritual economist Charles Eisenstein, this book explores the future of education, spirituality, the media, economics, food, and planetary citizenship as well as the expansion of consciousness necessary to reach that future. Soul Signs: An Elemental Guide to Your Spiritual Destiny, by Rosemary Altea. Which energy group do you belong to—the strategic and grounded Earth signs, passive and charming Air signs, compromising yet unstoppable Water signs, the ever-changing emotional Fire signs, or the destructive dark sign, Sulfur? Are you a strong-willed, emotionally driven, perfectionist Retrospective soul? A vivacious, radiant, quick-witted Bright Star soul? A thrill-seeking, romantic but fickle Traveler soul? What about your mate? By figuring out which elemental force drives you and your loved ones, and by understanding how energy flow determines your specific soul signs, you can use this knowledge to find your ideal soul mate, compatible helpmates, and a more focused, more balanced you. In Soul Signs, Rosemary reveals basic truths about our souls including how they came to be, where they go when we die, and, most significant for success in our personal professional lives, how they interact with other souls during our stay on this earthly plane. Once you learn the inspiring science behind soul typing, you will travel on a fascinating journey of self-discovery along the way to divining your own unique spiritual destiny. 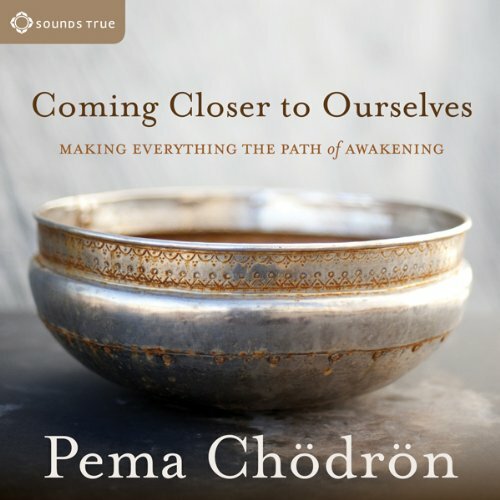 Coming Closer to Ourselves: Making Everything the Path of Awakening, By Pema Chodron. What to do when it feels impossible to be kind to ourselves. In challenging relationships and situations, how to let go of our story and see what is really happening. Cultivating inner comfort and greater kindness toward our bodies. Leaning into frustration, sadness, and fear with a spirit of trust and intimacy. Many other insights and recommendations to befriend the difficult places within us. Through gentle and clear guidance, Coming Closer to Ourselves shows us how, even in the tumult of life¿s uncertainties, we can begin with a glimmer of curiosity, move closer into our experiences, and discover a place of welcome and refuge within.